LED CONTROLLER FOR SIMULATION OF NATURAL LIGHT CONDITIONS IN FRESHWATER AND SEAWATER AQUARIUMS. 4 channel LED dimming control for up to 2 Trocal LED lights with 2 separately controllable channels. 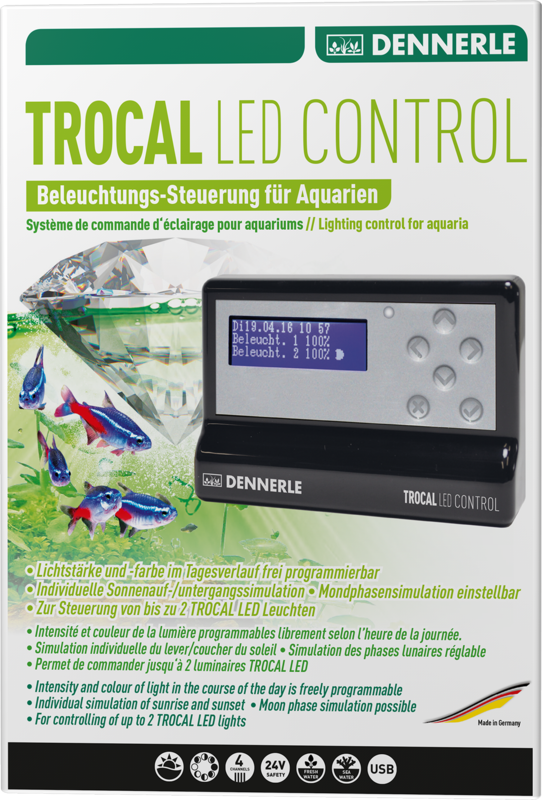 The TROCAL LED Control manages up to 2 Trocal LED lights, each of them disposing of 2 separately controllable channels. The mixing ratio of the TROCAL LEDs 2 light color channels can be adjusted individually (light colors Trocal LED: warm white and cool white; light colors Trocal LED Marinus: daylight and actinic blue). 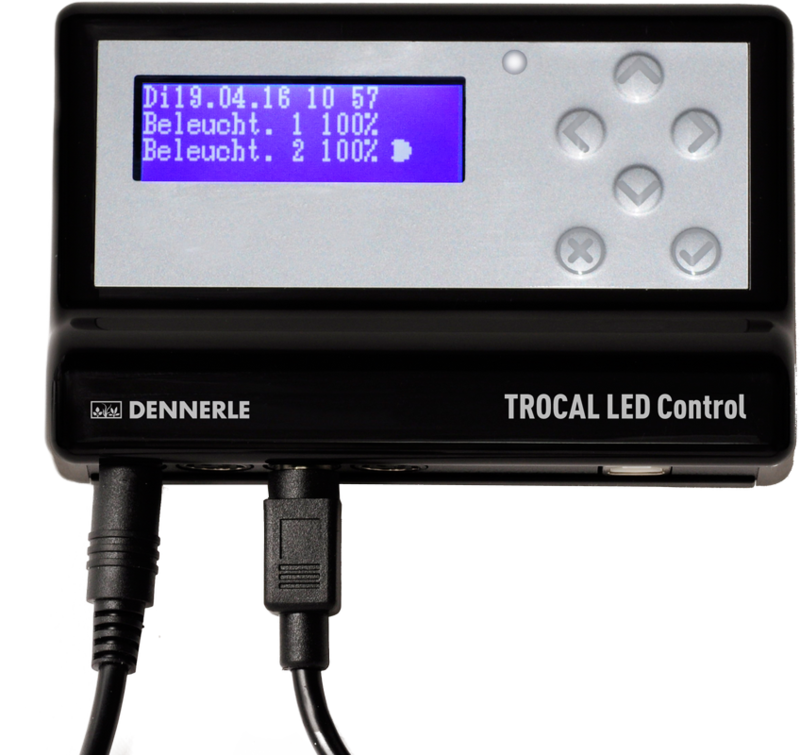 Due to the free programming of up to 8 dimming times per channel and per day the Dennerle TROCAL LED Control offers very flexible lighting options. For easy initial use, 4 lighting programs are already pre-set, but may be modified. With 6 buttons (4 navigation buttons, confirmation and back button) the device is very easy to use. Even more comfortable is the programming of the lighting time and the color/brightness profiles by means of the PC software. The data is then easily transferred to the device via USB. A safe operation is ensured by the safety low voltage of 24 volts. As an additional feature the buffer memory saves data in case of power outage. Note: For connecting a second LED TROCAL LED an additional connecting cable is required.